Many in the West are suspicious of the BRI, even though there is positive interest developing around the world. These suspicions have been recently recalled by Gu Bin in an opinion piece, published by the FT, which demolishes the BRI-Marshal Plan comparison, considered wrong, technically and historically. The BRI is indeed a recent Chinese proposal of international cooperation, centered on increasing land, sea, and air connectivity in Asia, Europe, Africa and the entire world. It is a new Chinese proposal for enhancing world cooperation, multilateralism and dealing with global problems. It is not an aid plan and it is not against Chinese competitors. Considering the current geopolitical tensions in Asia, Europe and Africa, it is almost impossible not to view the BRI from a strategic perspective. Strategically, the advancement of the Shanghai Cooperation Organization and its relations with the Eurasian Economic Union is another sign within the strategic framework of the BRI. In spite of this, I totally agree with Professor Gu Bin when he tries to show the reasons behind the BRI and its incomparability with the old Marshall Plan. The amount of financial resources is for example incomparable, trillions versus billions. Moreover, the BRI has been criticized as an expansion of the recent explosion of China’s national power, even though the willingness of acquiring a more important role in global trade and value chains could be traced back to around 20 years. The Chinese strategies of the last 20 years have created the conditions for the BRI to be a realistic and attractive project. I refer to the “go west” and “go abroad strategy.” The first was deployed from the late 1990s to today, favoring the development of China and boosting national connectivity and that with neighboring countries; while the second, from 2000 up to now, has guaranteed support for Chinese investments abroad, operated by national champions. The BRI is, therefore, a consequence of the success achieved in the past years at domestic level and many investments, which we could today relate to the BRI, actually took place before its official launch in 2013 (for example, the Chongqing-Duisburg railway or Piraeus port). Some countries argue that there is no clear agenda in the BRI, nor a guarantee of security. 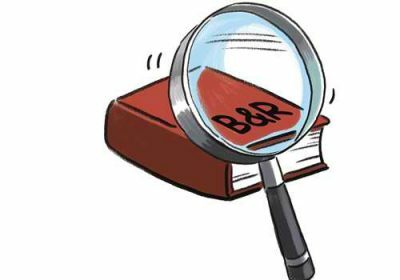 Beyond the most biased comments by the major competitors of China, in general, these criticisms do not capture the genealogy and the sense of the BRI. There cannot be a defined agenda because of the large number of countries involved (more than 60) and the geopolitical uncertainties. There are plenty of differences with the old Marshall Plan, in the international political context; it is more multipolar than bipolar; the economic and geographical size of China’s initiative, the principles and values of the proponent to the manifested goals. In the 19th National Congress of the Communist Party of China, the party defined two ambitious goals: building new forms of international relations centered on win-win cooperation and mutual respect, and working hard to create a community of shared future for humanity. Indeed, the Chinese strategy of global projection is based on a series of principles that derive from the concept of mutual respect and dialogue between peers. This is the core of the Chinese alternative idea of globalization and this is behind the BRI. Nothing similar can be traced back to the Marshall Plan. In this sense, the BRI is an important project for both China and the world. Featured image is from Liu Rui/Global Times.